So I haven’t written a favourites post in a few months as, to be honest with you, I have been stuck in my ways using the same products over and over again. Until this month. Winter has well and truly arrived, which has forced me out of my old ways and I’ve finally been using different products this past month. And boy have I found some good ones to share with you! This month I had my first experience of bleaching my hair for a whopping two and a half hours! Needless to say my hair is in serious need of some TLC. I’ve been smothering my dry locks in this Lee Stafford Argan Oil Night Repair Serum and thankfully it’s been bringing a bit of life back to my straw like hair. It smells pretty good too! This next one has totally been enabled by Desi Perkins. 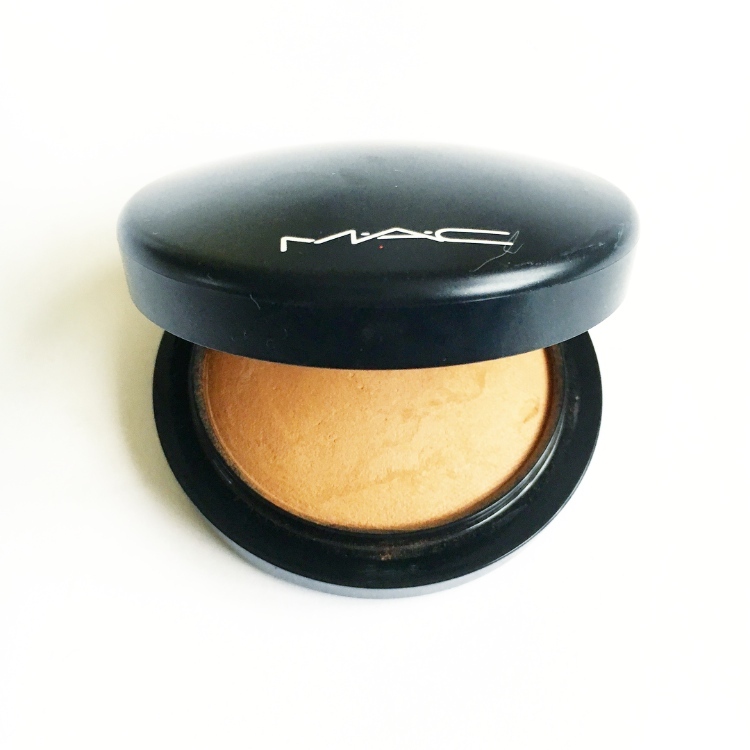 She always uses this Mac Mineralize Skinfinish in ‘Give Me Sun’ and she always looks beautifully bronzed. I had a makeover at Mac for the Cosmo Blog Awards, which was redeemable against products. I usually gravitate towards lipsticks or blush, but I thought I’d give this a go. And I love it! 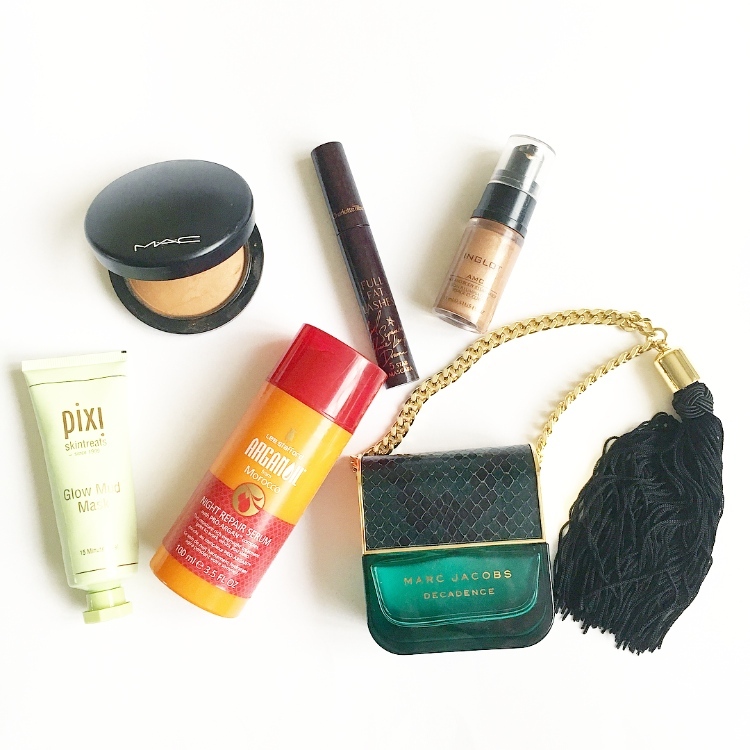 Let me put this into perspective for you – I have been using the same Guerlain Terracotta bronzer for ten whole years! 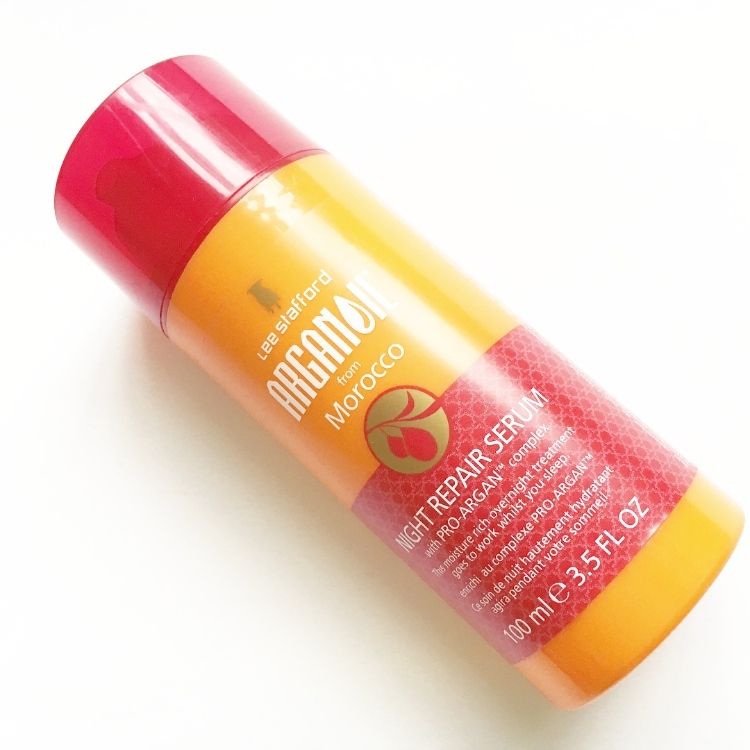 I have tried many other bronzers, mainly to find a cheaper one, but none have compared. Until now. I think I might have met it’s match. And it’s cheaper (cheers). As you might have gathered, I am a creature of habit. I have had the same perfumes on rotation throughout the seasons for years now. I know what scents I like and I stick to them. Recently I had amassed a huge number of points on my Boots advantage card. I always think that these should be spent on a treat, something you wouldn’t normally spend your money on. So there I was perusing down the perfume isle when I saw this absolute beauty. 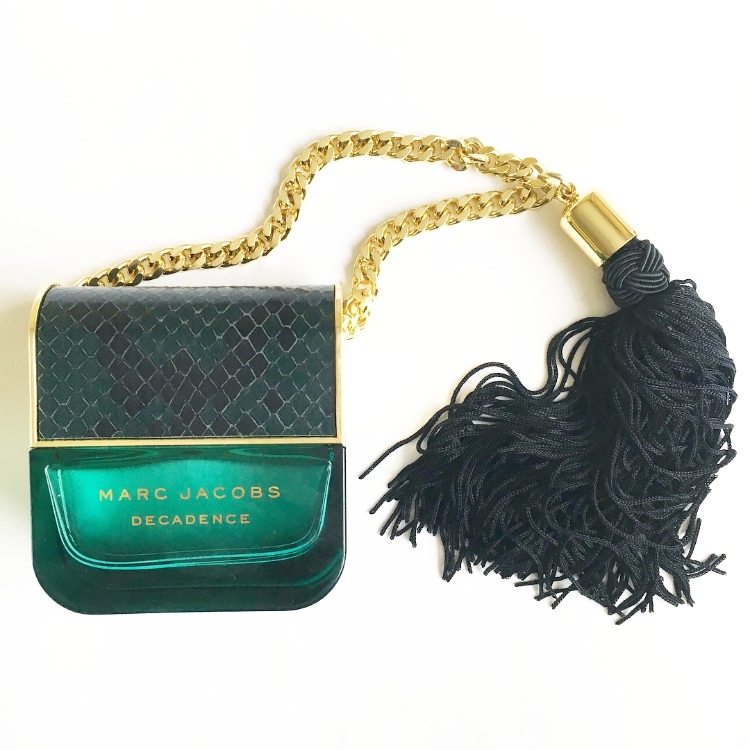 Marc Jacobs Decadence perfume. First of all can we just address that the bottle is shaped like a handbag, complete with chain and tassel. I have never smelt anything like it. It’s absolutely gorgeous. Obviously I got it then and there and have been wearing it non stop ever since. Clearly my years of loyalty to certain products have died this month between this and the bronzer… Every time I have worn it, someone has asked me what it is. It’s THAT good. Go have a sniff, go on… Sadly my tan has faded and my Summer glow has well and truly gone (cries). 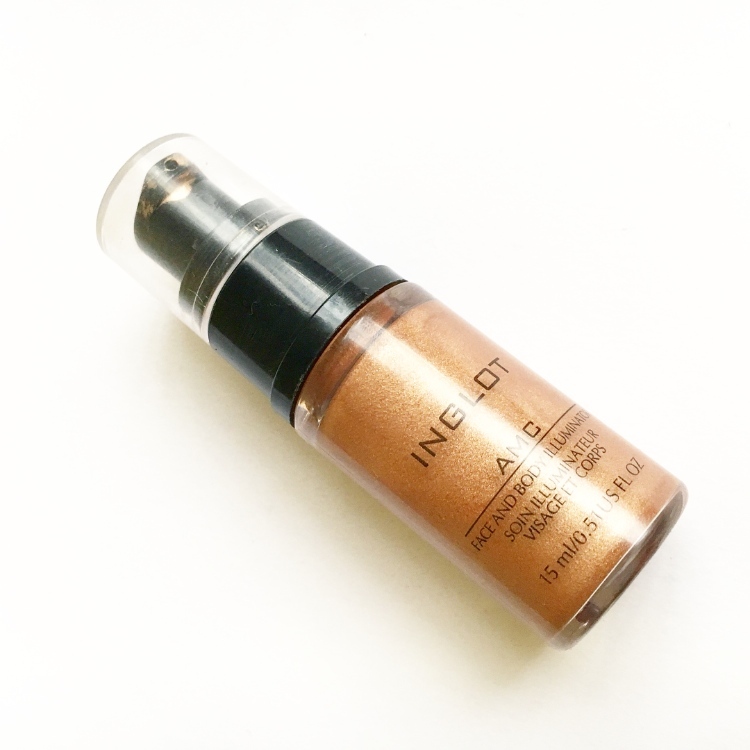 This little gem of an illuminator has given me my glow back. THANK YOU! I’ve been putting the Inglot illuminator on all the high points of my face to give me a healthy sheen. Someone actually said that I was glowing as if I had just come back from holiday. WINNING! Thanks to Farzana from Textbook Beauty for the recommendation, my glow is forever indebted to you! 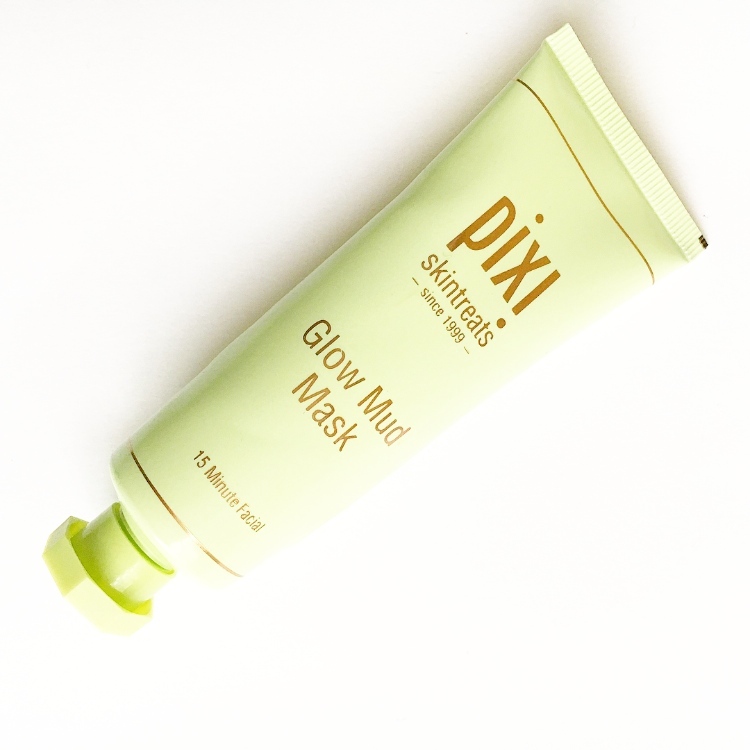 Another product which has been bringing my skin back to life is the Pixi Glow Mud Mask. It has the word glow in its name – I’m sold! This applies like any mud mask, making you look terrifying and temporarily disabling any movement in your face as it dries. But then you remove it and WOW. It’s like a breathe of fresh air for your face. My skin instantly felt decongested after having been smothered in layers on heavy creams as the weather has gotten colder. My skin tone also looked more even. A winner from me and again I will be straying from my usual Sanctuary Thermal Detox Mask. I am already a huge fan of their Glow tonic which featured in my July Favourites. I have my eye on a few more Pixi bits so watch this space – Pixi Cleansing balm and Milky Mist I’m coming for you! 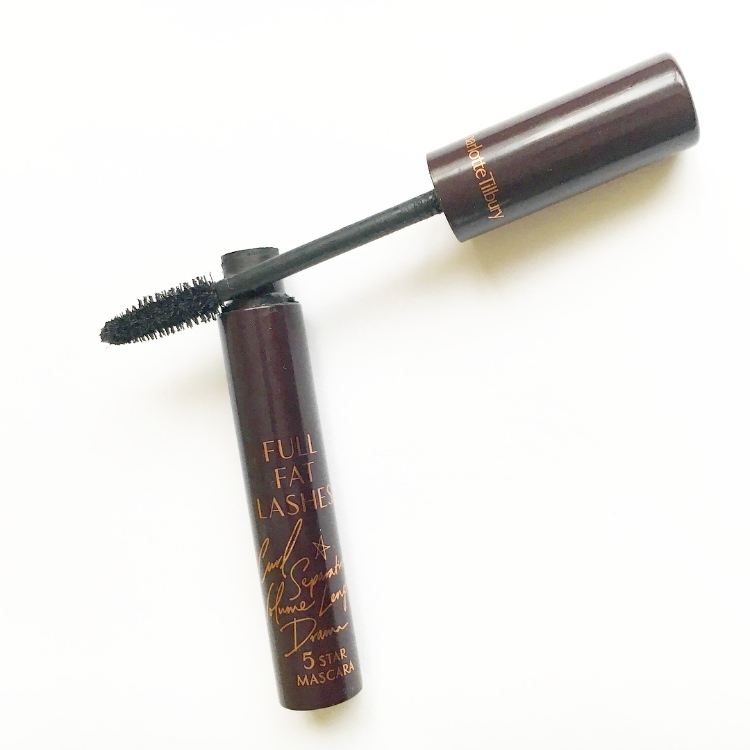 Last but by no means least is this gorgeous Charlotte Tilbury Full Fat Lashes mascara. Surely this woman can do no wrong? To be honest when I first got it back in June I wasn’t blown away. It had quite a wet formula to start off, which I found hard to work with. But now it has dried out a bit it’s a completely different story – Hello Full Fat lashes. Charlotte really did name it well. She claims that it curls, separates, volumises, lengthens and adds drama- tick, tick, tick, tick and tick! I’m usually one for a plastic comb-like brush but I am becoming a fan of this bristled brush. So I’ve finally strayed from my norm and introduced a few newbies into my life. Have you discovered any winners recently?